Apparently highly favorable conditions accompanied Cuba's emergence into independence. There were no major social or political problems similar to those that other Latin American nations had experienced after their break with Spain. There was no large unassimilated indigenous population, and although blacks represented a significant proportion of the total population, there was no major racial conflict. The two groups had learned to live together since colonial times. In addition, no strong regionalism or powerful church challenged the authority of the state. Furthermore, the liberal conservative feud that plagued countries like Mexico during the nineteenth century was nonexistent in Cuba. crop economy and on one all-powerful market. Under the terms of the May 1903 Treaty of Relations (also known as the Permanent Reciprocity Treaty of 1903) and the Lease Agreement of July 1903, the United States also acquired rights in perpetuity to lease a naval coaling station at Guantanamo Bay, which has remained the United States Naval Station at Guantanamo Bay ever since. Despite apparently favorable conditions, Marti's vision of a politically and economically independent nation failed to materialize in the post independence years. Whether he would have been able to prevent the events that followed the War for Independence can only be conjectured. A process of centralization extended the great sugar estates of the colonial period, restraining the growth of a rural middle class and creating an agrarian proletariat of poor whites and mulattoes. 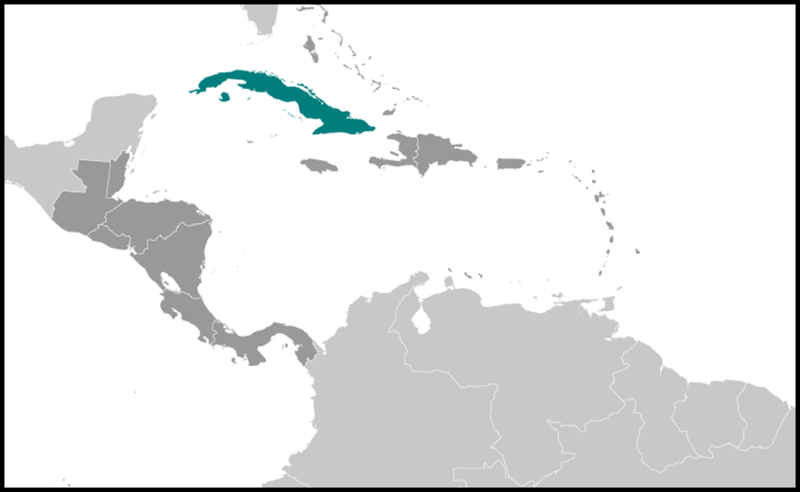 Cuba became more and more commercially dependent on the United States, and the inclusion of the Platt Amendment into the Cuban constitution of 1901 established United States supervision of political developments in Cuba. Another problem was Cuba's preservation of the colonial Spanish attitude that public office was a source of personal profit. Electoral fraud became a standard practice. Politics became the means to social advancement, a contest between factions for the spoils of office. Personalismo was substituted for principle; allegiance to a man or a group was the only way to ensure survival in the political arena. The Spanish legacy of political and administrative malpractice increased in the new nation too suddenly to be checked by a people lacking experience in self-government. The United States' dissolution of Cuba's veteran army prevented a repetition of the typical nineteenth-century Spanish-American experience. Nevertheless, many veterans took an active part in politics, and their influence was felt in the years following the establishment of the republic in 1902. As successor to Spain as the overseer of the island's affairs, the United States unwittingly perpetuated the Cubans' lack of political responsibility. Cubans enjoyed the assurance that the United States would intervene to protect them from foreign entanglement or to solve their domestic difficulties, but the situation only encouraged an indolent attitude toward their own affairs and was not conducive to responsible self-government. In the early decades of the republic, the Cubans developed a "Platt Amendment mentality," which led them to rely upon the United States for guidance in their political decisions. This civic indolence was also not conducive to the growth of Cuban nationalism. Although the Cubans were enclosed in a geographic unit and shared a common language, religion, and background, they lacked national unity and purpose. The influence of the United States weakened the forces of nationalism in the early part of the century. As the century progressed, another force, espaliolismo, became an important factor in keeping the nation divided. When Cuba became independent, Spaniards were guaranteed their property rights and were allowed to keep commerce and retail trade largely in their own hands. Immigration from Spain, furthermore, increased considerably, and by 1934 there were an estimated 300,000 Spaniards on the island. This influx constantly strengthened Spanish traditions and customs. Many Spaniards themselves remained divided, retaining the ways of their own native provinces, hoping for an eventual return to Spain and thus failing to assimilate into the mainstream of Cuban society. A dangerous tendency to solve differences through violence also permeated the political atmosphere. In 1906 President Estrada Palma called for United States intervention to offset the so-called Little August War. Organized by Jose Miguel Gomez and his liberal followers, who were outraged by Estrada Palma's fraudulent reelection, this revolt aimed at preventing Estrada Palma from serving a second term in office. United States Marines were sent to end the conflict, initiating a new intervention that lasted from 1906 until1909. This second intervention differed significantly from the first. The United States was not eager to embark on a new period of rule in Cuba, and the provisional governor, Charles E. Magoon, turned to dispensing government sinecures, or botellas, to pacify the various quarreling factions. Magoon also embarked on an extensive program of public works, gave Havana a new sewerage system, and organized a modern army. These accomplishments, however, were partially overshadowed by extravagant spending that left Cuba with a debt where there once had been a surplus. Magoon also drew up an organic body of law for the executive and the judiciary, and for provincial and municipal government. He also provided an electoral law, as well as laws for a civil service and for municipal taxation. Evidently, the United States government considered enactment of fair legislation that would prevent civil wars to be one of the main purposes of the intervention. Having pacified the country and introduced this new legislative apparatus, the United States called for municipal and national elections. In 1908 the Liberals, members of the newly created Liberal Party (Partido Liberal), won a solid majority and elected their leader, Jose Miguel Gomez (president, 1909-13), to the presidency. The United States seemed willing to allow the democratic process to follow its course, and on January 28, 1909, the interventionist forces were withdrawn from the island. The impact of this second intervention was far-reaching in other, less positive ways. It removed any pretense of Cuban independence, strengthened the Platt Amendment mentality, and increased doubts about the Cubans' ability for self-government. Disillusionment took hold among many leaders, intellectuals, and writers, and this feeling was transmitted to the mass of the population. Cynicism and irresponsibility increased and so did the resort to violence to solve political differences. Even hitherto peaceful racial relations were affected. The 1908 electoral fiasco of a group of radical blacks, who had organized a political party called the Independent Colored Association (Agrupacion Independiente de Color-AIC), increased the frustration of blacks. When the Cuban Senate passed a law prohibiting parties along racial lines, the AIC staged an uprising in 1912. The uprising alarmed Washington, which landed United States Marines in several parts of the island, over the protests of President Jose Miguel Gomez. Trying to avert another full-fledged intervention, Gomez moved swiftly and harshly. Government forces captured and executed most of the leaders and crushed the rebellion. The AIC collapsed soon after. It was to be the last time that a revolt along strictly racial lines would develop in Cuba. The tendency to resort to violence was displayed in two other instances at this time. In 1912 veterans of the War for Independence demanded the ouster of pro-Spanish elements from bureaucratic positions and threatened to take up arms against the government of President Gomez. When the United States expressed "grave concern" over these events, the veterans rapidly renounced their violent tactics. The second incident occurred again in 1917. This time the Liberal Party rebelled to protest the fraudulent reelection of Mario Garda Menocal (president, 1913-1921). Led by former President Gomez, the rebels took control of Oriente and Camaguey provinces. But Menocal, supported by a warning from the United States that it would not recognize a government that came to power by unconstitutional means, moved troops into the areas controlled by the rebels and captured Gomez. The rebellion soon died out, and, although its leaders were arrested, they were later pardoned. As a result of the economic downturn of the 1920s, various groups protested Cuba's economic dependence on the United States. In 1920, after a sharp drop in the price of sugar created a severe economic crisis, Cuba was subjected to financial chaos and social misery. The crisis accelerated the desire for change and led to a questioning of the existing order of society among intellectuals and writers and also among other groups that were barred from becoming productive members of society. This economic crisis led in particular to a resurgence of economic nationalism. 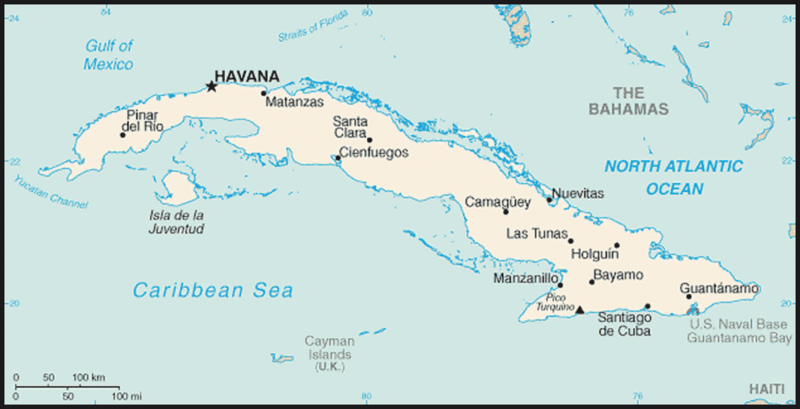 Several groups demanded protective legislation for Cuban interests and questioned the close economic ties between the United States and Cuba. The Platt Amendment as well as the repeated interventions of the United States government in Cuba's internal affairs came under attack. Anti-United States feeling, xenophobia, and retrieval of the national wealth became the main themes of this blossoming nationalism. As the decade progressed, however, its scope was widened to include a call for social justice and for an end to political corruption and economic dependence on a single crop. Liberal Alfredo Zayas y Alonso (president, 1921-24), as corrupt as his administration was, managed to take advantage of this nationalism to reassert Cuba's sovereignty vis-a-vis the United States and its special envoy, Enoch Crowder. Although his administration was overshadowed by graft and mismanagement, Zayas retrieved Cuba's credit, averted intervention, and through later negotiations secured definite title to the Isla de Pinos (now Isla de la Juventud) off the southern coast of Cuba after a two-decade delay imposed by the Platt Amendment. The inability of Cuban society to absorb all university graduates accentuated the feelings of frustration in a generation that found itself with little opportunity to apply its acquired knowledge. In 1922 university students in Havana created the Federation of University Students (Federacion Estudiantil Universitaria-FEU), occupied university buildings, and organized short-lived student strikes. The students obtained a series of academic and administrative reforms, larger government subsidies, and the establishment of a University Reform Commission composed of professors, students, and alumni. The university reform movement, which had started as a crusade for academic reform, developed political overtones in 1928 when students began protesting the decision of President Gerardo Machado y Morales (president, 1925-29, 1929-33) to remain in power for another term. Claiming that his economic program could not be completed within his four-year term and that only he could carry it out, Machado announced his decision to reelect himself. In April 1928, a packed constitutional convention granted Machado a new six-year period of power without reelection and abolished the vice presidency. In November, through a fake election in which he was the only candidate, Machado was given a new term, to run from May 20, 1929, to May 20, 1935. Whereas a similar attempt by Estrada Palma to remain in power had resulted in rebellion, Machado's decision at first brought about only a wave of national indignation against the invalidation of suffrage. The regime still enjoyed the support of the business and conservative sectors of society. Increased revenues had brought prosperity, and Machado's improved administration, especially in the field of public works, had gained him a strong following. The Cuban armed forces, organized two decades earlier during Gomez's administration, also strongly backed the regime. Machado had successfully won over the military through bribes and threats and had purged disloyal officers. He used the military in a variety of civilian posts both at the national and local levels, thus increasingly militarizing society. The few officers who were discontented with Machado's reelection seemed powerless and ineffective to oppose the regime. In the midst of growing domestic and international problems, the United States looked with indifference at events in Cuba and seemed unwilling to become involved in Cuban affairs as long as the Machado administration maintained order and stability and a friendly posture toward Washington. Machado, furthermore, prevented the growth of political opposition by winning control of the Conservative Party (Partido Conservador) and aligning it both with his own Liberal Party and with the small Popular Party (Partido Popular). Through bribes and threats, Machado was able to subordinate Congress and the judiciary to the executive's will. Machado's decision to extend his presidency met with stern student opposition, resulting in riots and demonstrations in several towns throughout the island. Machado took immediate measures to prevent further opposition from that quarter. He temporarily closed the university, dissolved the FEU, and abolished the University Reform Commission. He also tightened political control. Several Spanish and European labor leaders were expelled from the country as undesirable aliens. Antigovernment newspapers were closed down, and the military took an increasingly growing role in surveilling and policing the population. Machado warned sternly that he would keep order and peace at any cost. These measures, however, failed to control the students completely. In mid-1927, a small but active group organized the University Students Directorate (Directorio Estudiantil Universitario-DEU; hereafter, Directorio) to oppose the regime. The Directorio issued a manifesto defending the right of university students to discuss politics and attacking Machado's reelection attempts. When students demonstrated in front of the university, Machado rapidly retaliated. Following his orders, the University Council, composed of faculty and administrative officials, formed disciplinary tribunals and expelled most of the Directorio leaders from the university. A clash with police that left Rafael Trejo, a student leader, dead was the turning point in the struggle against the regime. From that time on, many Cubans viewed the courageous student generation that battled Machado's police with admiration and respect. For some, the "generation of 1930," as these students were later known in Cuban history, seemed irresponsible and undisciplined, but for others it became the best exponent of disinterested idealism. Embattled by the first shock waves of the world depression and oppressed by an increasingly ruthless dictator, many Cubans, especially those among the less privileged sectors of society, turned in hope toward these young people. They placed their faith in a generation that, although inexperienced and immature, seemed incorruptible and willing to bring morality to Cuba's public life. While the principal leaders of the Directorio were in jail in 1931, a small group formed a splinter organization, the Student Left Wing (Ala Izquierda Estudiantil-AIE). The AlE, however, became merely a tool of the Communist Party of Cuba (Partido Comunista de Cuba-PCC). The party, founded in 1925 and led in the early 1930s by Ruben Martinez Villena, a popular poet and intellectual, directed the organization's activities and used it to influence the student movement. Throughout most of his regime, the communists opposed Machado and advocated, as the only correct strategy to overthrow his government, the mobilization of the proletariat, culminating in a general strike. The PCC opposition, however, was ineffectual. The DEU and the AlE were not the only groups opposing Machado. The Nationalist Union (Union Nacionalista), headed by a War of Independence colonel, Carlos Mendieta, also condemned the regime in newspapers and in public demonstrations. In 1931 Mendieta and Menocal, the former president, organized a short-lived uprising in Pinar del Rio Province. That same year, a group led by engineer Carlos Hevia and journalist Sergio Carbo equipped an expedition in the United States and landed in Oriente Province, only to be crushed by Machado's army. In New York, representatives of several anti-Machado organizations united and formed a revolutionary junta. Most prominent, perhaps, of these anti-Machado groups was the ABC, a clandestine extremist organization composed of intellectuals, students, and the middle sectors of society, established in 1930. Led by several Cuban intellectuals who were Harvard graduates, the ABC undermined Machado's position through sabotage and terrorist actions, and in December 1932 published a manifesto in Havana criticizing the underlying structure of Cuban society and outlining a detailed program of economic and political reforms. Although the means to achieve its political and economic program were not clear, the ABC called for the elimination of large landholdings, nationalization of public services, limitations on land acquisitions by United States companies, and producers' cooperatives, as well as political liberty and social justice. Such was the existing condition on the island when the United States, attempting to find a peaceful solution to Cuba's political situation, sent Ambassador Benjamin Sumner Welles in 1933 to act as mediator between government and opposition. By then, United States interests in Cuba had grown significantly. Investment was concentrated in land and in the sugar industry, but also extended into transportation, natural resources, utilities, and the banking system. World War I had accelerated this trend, making Cuba more and more dependent on its neighbor to the North. As economic dependence increased, so did political dependence. A new crop of Cuban businessmen, technocrats, and, naturally, politicians had developed who identified with their counterparts in the United States and sought political guidance from Washington and Wall Street. This "Platt Amendment complex" permeated large sectors of Cuban society, with the exception, perhaps, of some writers, intellectuals, and students who saw a danger in the close relationship for the development of a Cuban nationality and identified the patria with the workers, the poor, and the blacks. Their ranks were small, however, and economic prosperity drowned their voices. The fear of, or the desire for, United States involvement in Cuban affairs was the dominating theme, and many Cubans were willing to use the threat of or even actual intervention by the United States to further their narrow political and economic objectives. Most political factions and leaders supported Sumner Welles's mediation, with the exception of the radicals and the Conservative followers of former President Menocal, the Directorio, and a few Cuban leaders. The Directorio strongly opposed the United States' action. The leaders of the "generation of 1930" saw themselves as representatives of the national will and heirs to Marti's legacy (see Jose Marti and the War for Independence, 1895-1902, this. ch. ); their mission was to carry on the revolution that "the United States had frustrated in 1898." Finding inspiration and guidance in Marti's teaching and his vision of a just society in a politically and economically independent nation, they opposed United States supervision of Cuban affairs and the humiliating Platt Amendment. Sumner Welles's mediation efforts culminated in a general strike, in dissension within the armed forces, and in several small army revolts that forced Machado to resign and leave the country on August 12, 1933. This general strike deepened the schism between the PCC and the anti-Machado groups. Although the party had played an important role in promoting the strike, it reversed itself just prior to Machado's fall and issued a back-to-work order, fearing that the general strike might provoke United States intervention or the establishment of a pro-United States government. The failure to support the anti-Machado struggle discredited the PCC, especially among the students. From that time on, the party, alienated from progressive and revolutionary forces within the country, found it easier to reach agreements and work with traditional conservative political parties and governments, even with military presidents. Sumner Welles and the army appointed Carlos Manuel de Cespedes to succeed Machado. The son of Cuba's first president during the rebellion against Spain in the 1860s and a prestigious although uninspiring figure, Cespedes soon received United States support and the backing of most anti-Machado groups. He annulled Machado's constitutional amendments of 1928, restored the 1901 constitution, and prepared to bring the country back to normalcy. Returning Cuba to normalcy seemed an almost impossible task amid the worldwide chaos of the early 1930s. The deepening economic depression had worsened the people's misery, and Machado's overthrow had released a wave of uncontrolled anger and anxiety. Looting and disorder were widespread in Havana, where armed bands sought out and executed Machado's henchmen. In rural areas, discontented peasants took over sugar mills and threatened wealthy landowners. Although the appointment of Cespedes as president did not end the crisis, it reduced political tensions and the level of armed conflict.